Vintage Velos is proud to offer Molteni cyclewear. 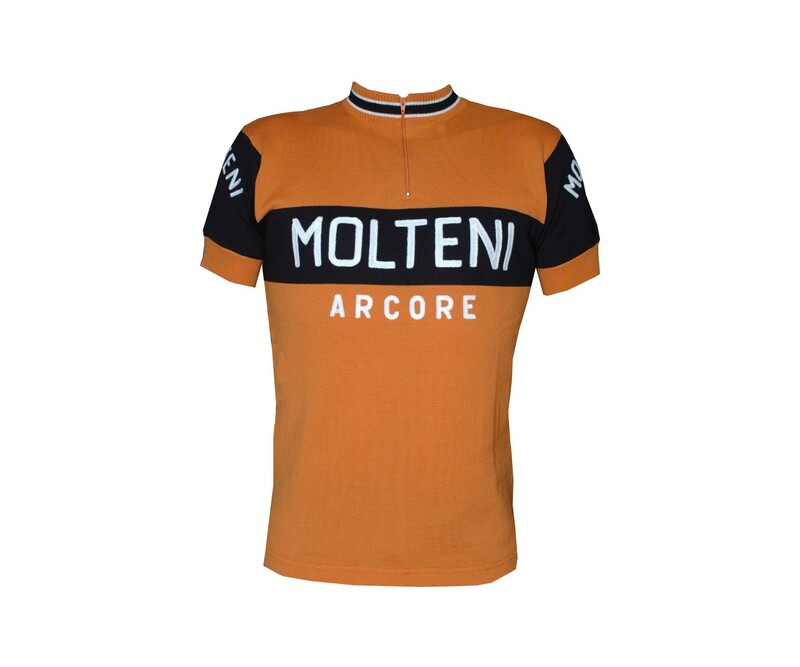 This wool cycling jersey is styled on the jersey worn by the talented Molteni domestique team racers who supported Merckx during his reign. Made exactly to spec with same burnt orange and navy blue colors. A serious jersey in blessed Merino wool. 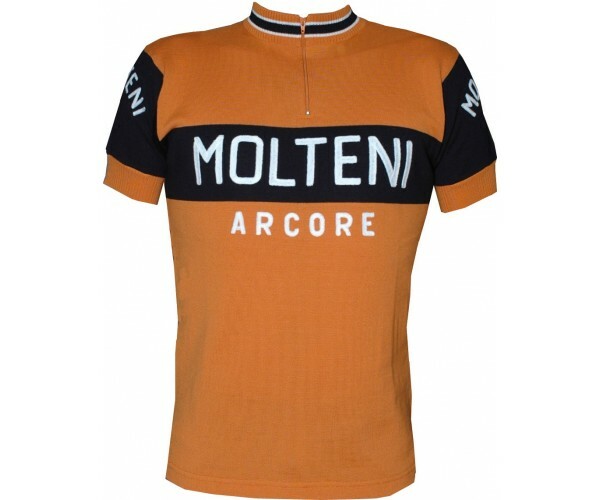 There is only one true Molteni jersey and this is it! Last items are on sale. Normally $148, now only $128.